When agriculture insurance brokers are working with clients, it can be easy to see the relationship as purely transactional; the client needs the right cover for their business, and the broker's job is to find that at the right cost. However, there's much more to the relationship, and successful brokers will be able to not just help clients secure cover, but nurture the relationship over the long term. Nurturing this relationship doesn't have to be difficult though. Here we've set out some of the key ways brokers can help build a long-term relationship with farmers, ranging from key tasks like assisting with claims, through to the more nuanced work where brokers can bring their expertise to bear in supporting farmers. Perhaps the area where a broker is going to really show their value to a client is making a claim. After all, it's a broker's job to ensure this process runs smoothly, and that they're able to support a client to ensure they have all the evidence and documentation they'll need. There are times when farmers will alter their behaviours in ways that could affect their premiums. 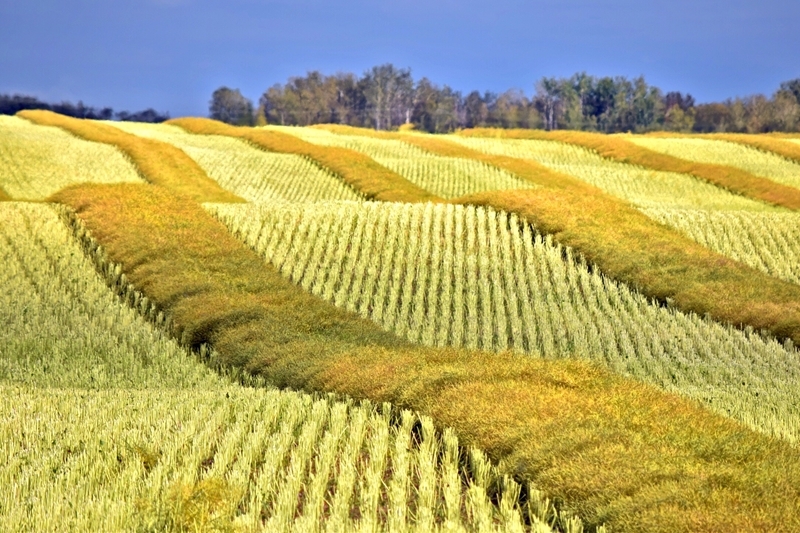 Helping with gathering and providing this evidence is particularly valuable in spaces like crop and agriculture insurance because evidence will depend on how a yield is calculated and affected by events like frost. In some situations, for example, a farmer may have to leave a small portion of their crop unharvested in order to demonstrate how their yield has been affected by the event they are claiming for. Conditions on-farm are always changing. While most won't affect a farmer's premiums, there are times when farmers will alter their behaviours in ways that could affect it. Often this will happen as farmers change the crops they're growing, or undertake significant changes to their farm in order to proactively manage their risk profile. A farmer's choice of crop could impact their premiums. Even if farmers aren't making changes in their habits, it could be that their premiums are changing over time due to factors beyond their control. Brokers here can still help, providing ongoing support to make sure their clients aren't getting stung by changing premiums. Of course, even if a client's premiums aren't changing, there's still value for brokers in making sure they are keeping track of policy renewals and are ensuring their clients' policies don't lapse without them knowing about it. It's obviously part-and-parcel of a broker's job to ensure they're delivering the best insurance cover for their clients, but their support for Australia's farmers shouldn't stop there. Brokers have a unique position, where they are working with many different farmers and can act as a conduit for best practices across their client base. This could mean anything from working with farmers to help them achieve their goals, through to providing a sounding board for broader risk management issues like drought protection. It's out of these conversations that brokers will be able to build stronger relationships with clients, beyond simply helping them with insurance cover. Crop insurance brokers have an important role to play sharing best-practices between farmers. For agriculture insurance brokers who want to provide the best levels of ongoing service to clients, Primacy's PATH portal is a great tool. The online portal gives you access to a wide range of policy options and the ability to tailor the coverage and terms of a policy all from within the portal, on any device. What's more, Primacy's PATH allows brokers to manage the entire client lifecycle in one place, keeping track of important documents and getting timely reminders when a policy is nearing renewal. To learn more about Primacy's PATH offering and to start using it to help support your clients, get in touch with the Primacy team today.